Yaroslav Zyablov was born in the world of make-believe and imagination. His father is a famous artist and his mother is a famous ceramist. So the atmosphere in his house influenced the boy’s ambitions. After his parents moved to Odessa undoubtedly gifted to fine arts Yaroslav in 1992 enters Odessa state artistic school (OGKHU) of M.B. Grekova. Interestingly, that already the next year a young painter was presented on the exhibition of teachers and students of school, with which kind connection proceeds until now. In 1997 the graduating student of OGKHU returns to Moscow and enters the Russian academy of painting, sculpture and architecture. Nowadays a young artist speaks respectably of years of study filled with hard work. In 2002 Yaroslav Zyablov graduated from the landscape studio of the Academy (teacher – A.P. Afonin). His degree work «The flood of Setun'»deserves the highest grade and its author – praises of examining board. Nowadays Yaroslav Zyablov is a post-graduate student of native educational institution, his leader – I.S. Glazunov, the rector of the Academy. undoubted argument in favour of inexhaustibility of the realism. 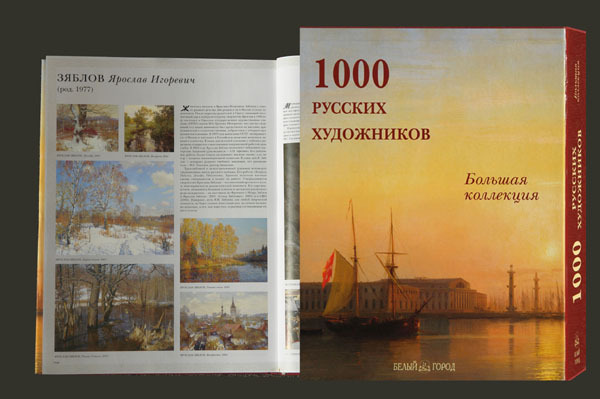 His pictures, by the way, are a great success in the citadels of different sort of modernism – on exhibitions in France (« Zyablov and Yaroslav Zyablov», 2003; « Zyablovu», 2005) and in the USA (2006). As a matter of fact, no road is strewn with rose-petals. But his start is not bad at all and as everybody knows it makes up the bulk of general success.